Top 13 Bites in 2013 | Eat.Drink.Life.Love. We don’t always eat an epic meal, but when we do it goes on the “Best Bites” list. 1. This pasta sauce from chef Neal Fraser, made during season five of Top Chef Masters. It’s chock full of roasted veggie umami and was so good we made it for Christmas dinner. It’s the only pasta sauce we’re ever going to make from now on. 2. The most perfect roast chicken from Saffron in Minneapolis. It’s crisp on the outside, moist on the inside and tantalizingly spiced. While you’re there, be sure to order the silky Turk hummus with paprika butter and za’tar spice (which is making the list in an honorary capacity). 3. 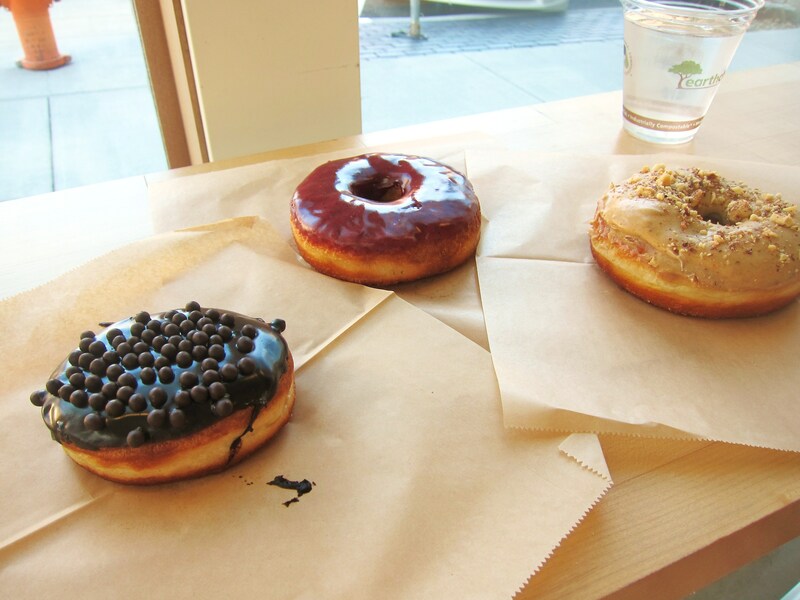 Donuts from Blue Star Donuts in Portland. Homemade brioche dough. No gimmicks, just local, stunningly flavored donut deliciousness. I’m STILL debating which was my favorite — blueberry basil or Valrhona chocolate crunch (aka chocolate crack). 4. Pork tenderloin with cumin-roasted carrots, red quinoa and sumac yogurt from Marin in Minneapolis. PERFECTLY cooked pork with such interesting flavors. This local, seasonal place celebrates good, real, healthful food, but everything tastes so good you’ll never just think, “Eh, it’s good for me.” This is our go-to restaurant when we see shows in downtown Minneapolis. 6. Fried green tomatoes at Corner Table in Minneapolis. An amazing and boisterous girls night out with so many courses I lost count, but I know the fried green tomatoes were a gift from the kitchen. I don’t love tomatoes and never would have ordered them, but these lightly tart, tender fruits with shatteringly crisp cornmeal crust…I’d order that again and again. Since tomatoes are seasonal, they’re not often on the menu so next time you’re at Corner Table, order anything pork belly. You can’t go wrong. 7. Salmon with smoked farro and country ham at The Woodsman Tavern in Portland. The restaurant is warm, woody, industrial hipster heaven and the food is killer fresh, simple and inspired. 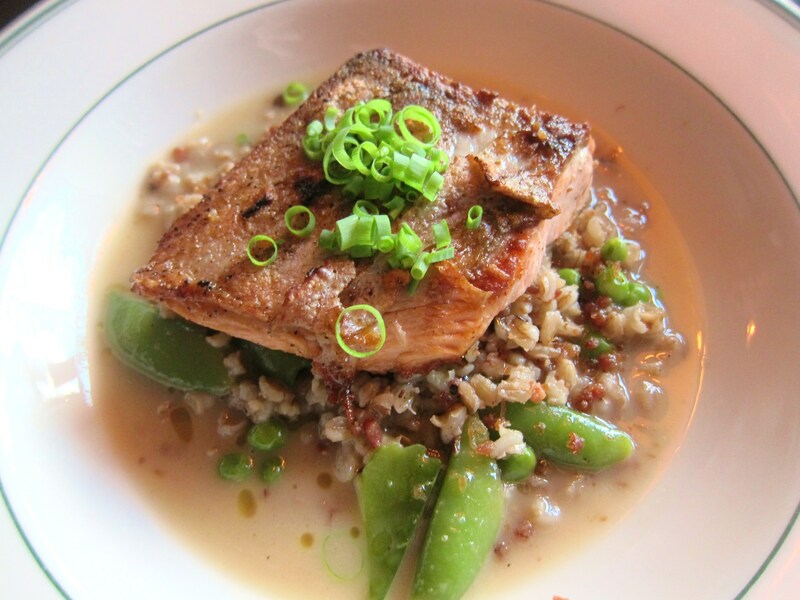 This fresh salmon with chewy farro and smokey flavors was my Portland perfection. 8. Spaghetti from Scarpetta in Las Vegas. It looks so simple on the menu — “Spaghetti, tomato and basil,” but I’d heard a lot about Scott Conant’s signature dish so I went for it. I simply can’t describe the marvel that is this exceptionally elemental pasta dish other than to say that the secret is to swirl plenty of butter in the sauce then finish cooking the fresh pasta in there. Just…wow. 9. Whitefish with mushrooms and cucumbers at Heartland Restaurant in St. Paul. Chef Lenny Russo created this dish to pair with a Prairie Organic Cucumber Vodka cocktail at a special dinner and it was my favorite course. 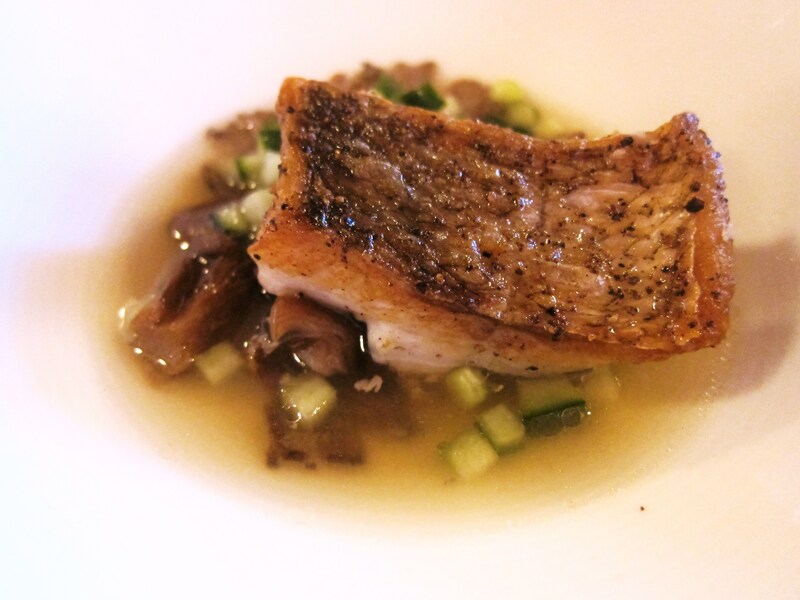 So light and flavorful, the meaty mushrooms balanced by the cool cucumbers and oh, that crispy fish skin. 10. On a hot, steamy July day, we went to a local art museum with friends then had a picnic in a nearby park on a river bank. We brought fresh pickles, cheeses, baguette, prosciutto, salami and wine. It was stunning in its simplicity and that (plus the company) is what made it the best. 11. 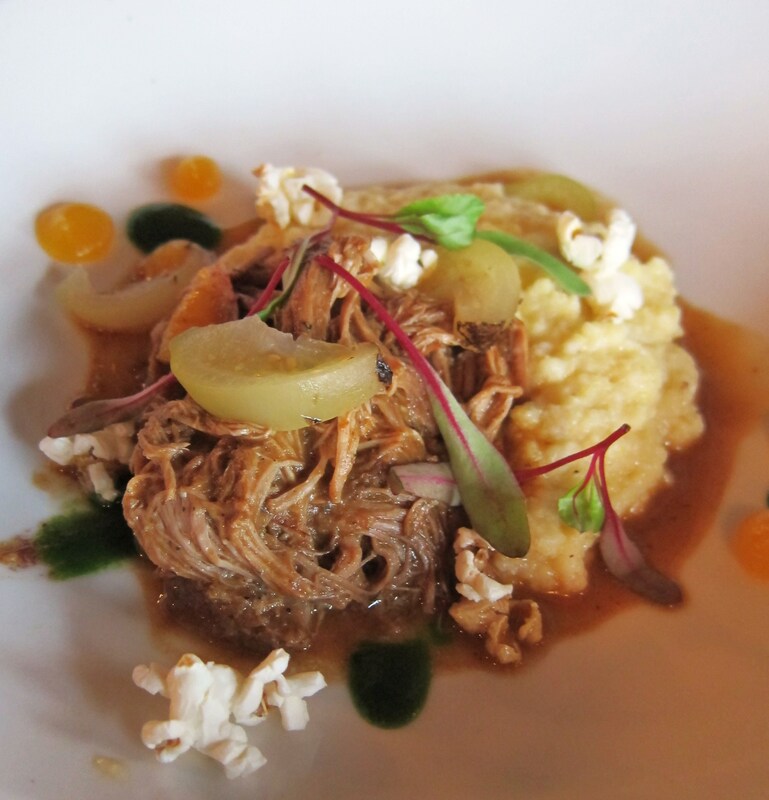 Pulled pork over popcorn grits and tomatillo pickles at Victory 44 in Minneapolis. Here’s an insider tip: Skip all the hype surrounding the Travail guys and their respective bajillions of overblown, ego-stroking restaurant concepts. For the most solidly innovative food at the best value, go to Victory 44. 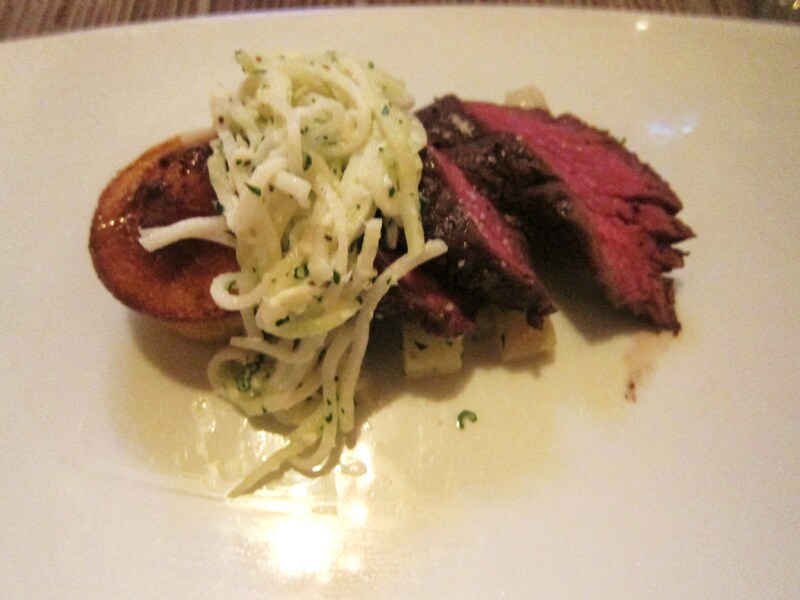 This dish was our favorite from the Tuesday night five-course chef’s tasting menu. Fall apart pork over creamy grits with tart little pickles. And the five courses? A whopping $25. 12. 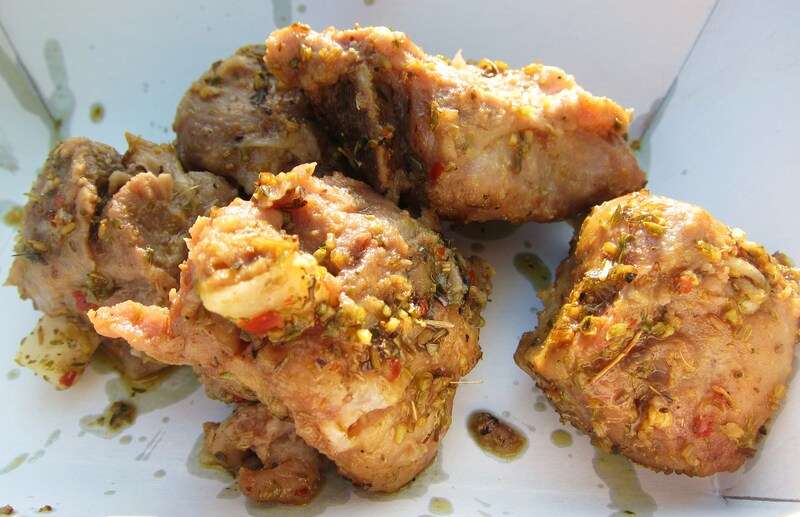 Porketta “pig wings” from Mancini’s at the Minnesota State Fair. Piping hot, perfectly cooked bits of pork falling off the tiny bones and excellently spiced with garlic, fennel and more. These took the No. 1 slot for all-time favorite fair food. Ever. 13. 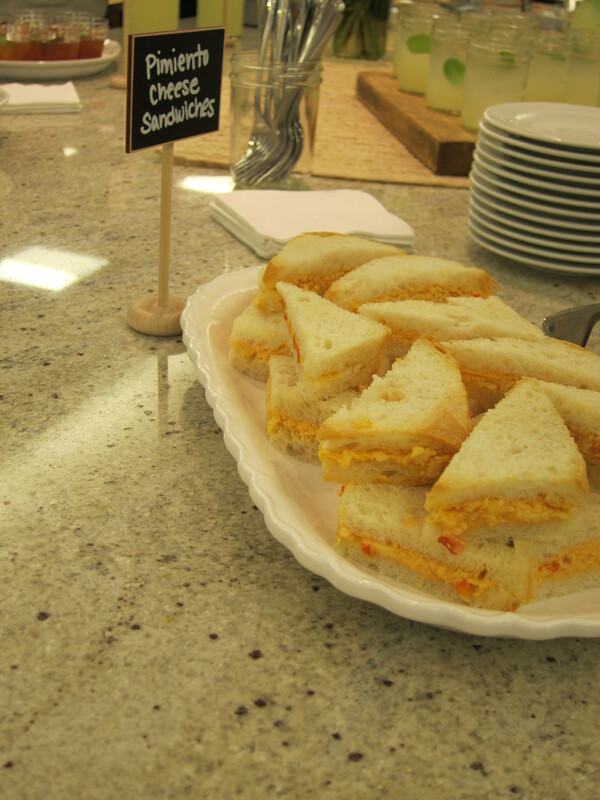 Pimento cheese sandwiches from Hugh Acheson. Chef Acheson was in town for an event and I’m so fortunate to have been one of the few to attend and eat bite after bite (after creamy, piquant, delectable bite) of his version of the Southern food classic. Home cookin’ at its finest. I’d love to know what your best bites of 2013 are so I can add them to my 2014 “must eat” list!! Comment away! What is your “go to” chicken stock? Thanks for the Pasta recipe..can’t wait to make it.